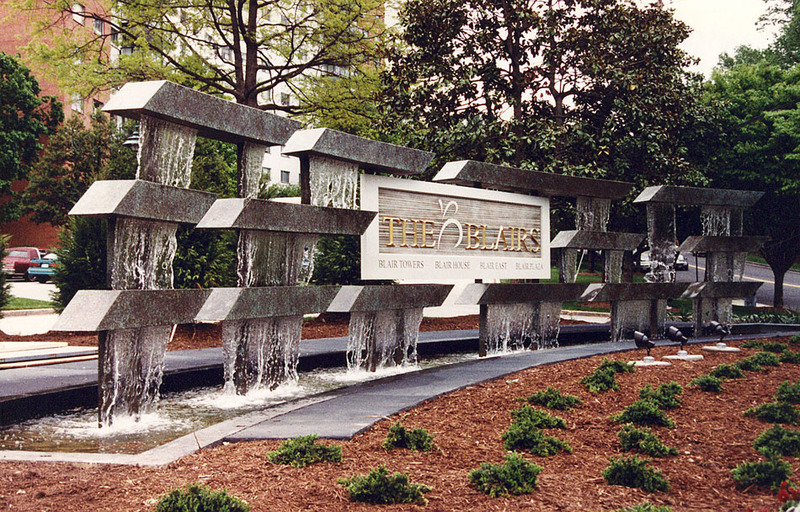 This large outdoor sculpture incorporates the main entrance sign of the Blairs complex. 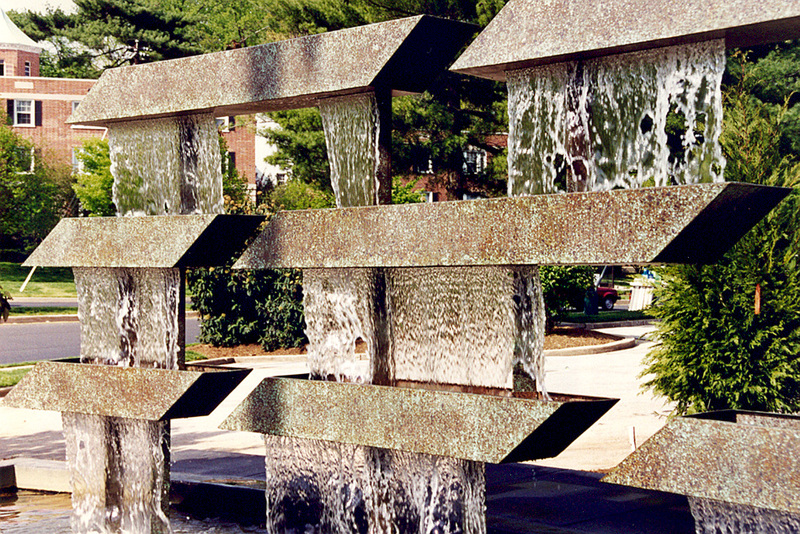 Curved slightly along the ground, this sculpture includes fourteen long rectangular shapes (or boxes) that are positioned above one another on three different levels. Seventeen sheets of water pass between boxes at different levels, thereby hiding the supporting vertical struts and causing the boxes to appear as floating. The sculpture sits in a 60’ x 7’ pool, and recycles water at a rate of nearly 1000 gallons a minute. Created for The Blairs, a complex of apartments, office building, and shopping mall, Silver Spring, Maryland.